Where do we start this road test? OK, let’s start with the truth. Daimler Chrysler was kind enough to offer us the loan of a Smart ForTwo Coupe for a couple of weeks. Whilst we said yes to the offer, we kind of figured who on earth could we get (or pressurise) to drive it. That’s what we thought. Fact is, it arrived and we all had a little zip up the road in the car and suddenly it became a case of everyone arguing as they wanted to drive the car! We all know what a Smart Car looks like, but unless you’ve had one or got a friend who has one, like us, you probably haven’t spent much time with one and like us, you’ve probably got pre-conceived ideas about this quirky little car. Although it came as a shock to us I have to tell you that everyone that drove this little honey of a car absolutely adored it. OK, if you normally drive a bigger vehicle, well you’re not going to be interested in the Smart, or if you need 4 seats, it’s a non-starter as well, but if you can live with a 2 seater, this little Smart has to be best fun you can have with your trousers on. The Smart is powered by a 999cc 3 cylinder engine and our car was the 71bhp Passion model, which retails at £8540, so its not the cheapest small hatch around, although Smart offer an entry level car at a little under £7000. From an economic point of view, the car makes perfect sense as its CO2 was just 112g/km, which puts it in the £35 a year road fund tax bracket. 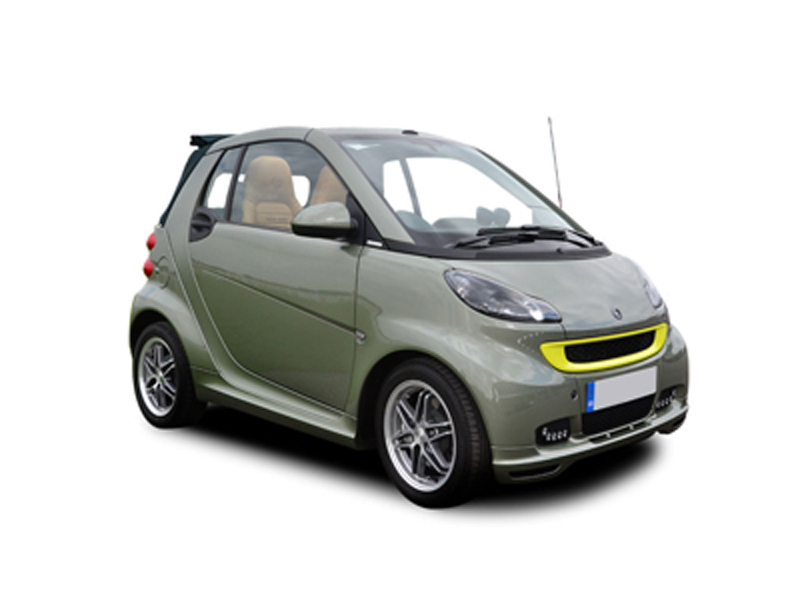 The Smart only sips its fuel, so gives an average of over 60mpg, although Smart claim over 70mpg on the extra urban cycle. Insurance wise, you don’t get much lower than a group 2 or 3 which is where the Smart sits, so it’s going to be a policy you can get your kids on. The Smart makes super sense so far, so let’s look at the economic case a bit further. A big part of the cost of running any car is what you’re going to lose on it. For sure, all cars depreciate, but, the Smart does it less than most, so it even rewards you in your pocket when you decide to say goodbye to it. To give you a comparison, the Citroen C1 1.4 Rhythm Diesel is a great little car. We like this car a lot and believe me, it is a very good car. Disposing of your C1 Citroen at 3 years old, with 30,000 miles on the clock, you can expect to get back around 35% of what its new retail price was when you bought it. So it’s going to lose 65% in value. Contrast this with the similarly priced Smart Passion and for the same period, with the same 30,000 miles, you’re likely to get back 53% of the Smarts original retail price and that’s a loss of just 47% or 18% less than the Citroen. We picked the Citroen for comparison as the Citroen is a very good car, not some old thing no one wants, but our comparison could just have easily been a Peugeot 206, Renault Clio, Vauxhall Corsa or Ford KA or indeed any one of a number of mega popular cars, as it appears they all lose more than the Smart. Sounds too good to be true? Well it is in parts, as there are annoying things about the car and the main one is the cars standard clutchless semi-automatic gearbox. Whilst it’s very easy to use, unless you back of the power as it changes gear, the up-changes are jerky and we feel, they just shouldn’t be like that, this said, you kind of get used to it and begin to think of it as a quirk, rather than a failing. The cars 3 cylinder engine also never lets you forget its there and sitting just behind your seat either, and whilst at first, it’s noisy and annoying, you grow to think of it as a nice noise, as your little Smart purrs away. That’s the thing about the Smart, yes it’s hugely compromised because it’s got just two seats, has a jerky gearbox and a noisy engine, but you come to love it, to forgive it and to accept it is what it is and more than that, not just accept it, but begin to like it. We started off not wanting to drive this car and ended up loving it, with all its quirks, restrictions and compromises. If you want a well put together quirky little car that’s easy to drive, easy to park, cheap to insure and cheap to run and doesn’t destroy the planet and most importantly, keeps the smile firmly on your face, the Smart has to be on your list to consider. For a quotation on anything in the Smart range, please contact us.